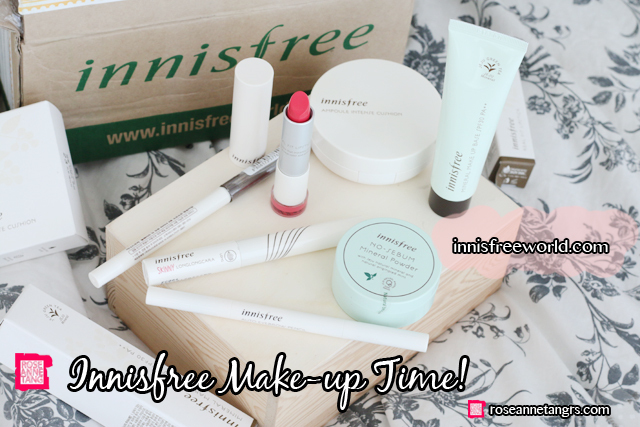 If you ask me what are my favourite Korean make-up brands, I will definitely say that one of them is Innisfree! Their products are amazing and affordable and walking into any of their stores is simply therapeutic. 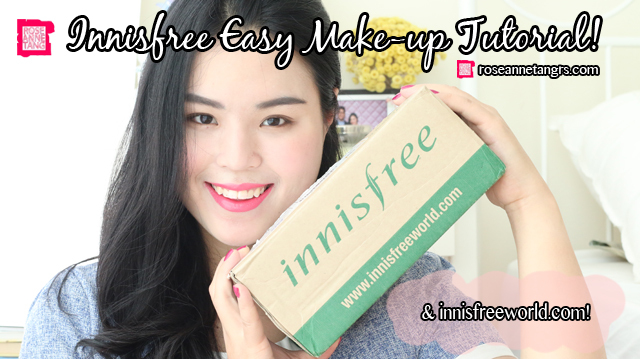 But, if you are short of time, online shopping is always a good cure so today I wanna tell you what was in my Innisfree World Global Shopping Mall haul and show you an easy breezy, “no brushes needed” make-up tutorial that you can do with Innisfree products. Let’s get started and see what’s inside this box! This is the look that I’ll be doing today. 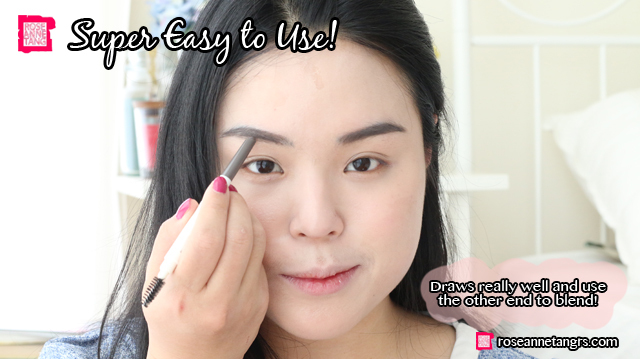 It’s super easy to do and you don’t need to use any make-up brushes or fiddle with eye-shadow. Let’s get started! 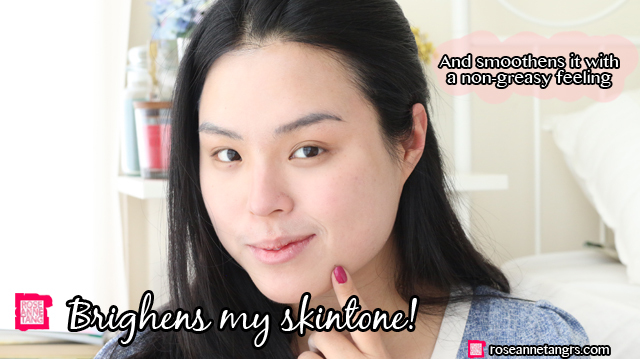 The first thing I’ll be using is the Innisfree Mineral Make-up Base in #2 which also happens to be SPF 30PA++. 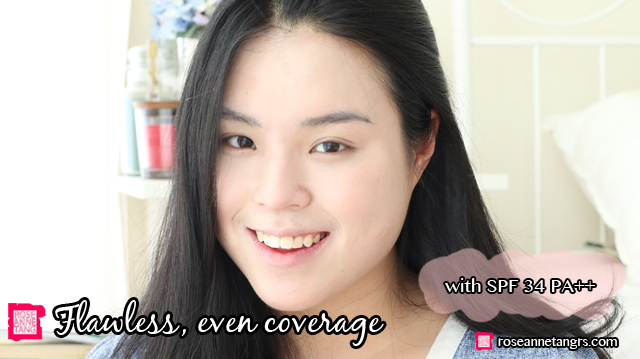 It is a mineral makeup base that gives you a clear and radiant skintone and a smooth skin texture as well. It offers you a primer, skin tone crrection, optimum moisture balance and UV protection and is enriched with natural minerals from Jeju, Korea. Seriously, a little goes a long way with this product. This one happens to green which balances out redness and any uneven skintone before you apply your base make-up. It really does make your complexion much more radiant and brighter and it doesn’t give you a greasy feeling but somehow a slightly more velvet finish on the skin. After you’ve applied your make-up base, it’s time for foundation. 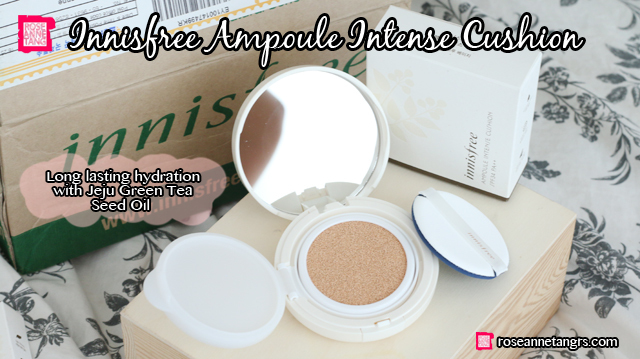 I’m going to be using the Innisfree Ampoule Intense Cushion. My shade is in #23. This cushion keeps skin refreshed with a long-lasting hydration effect and contains Jeju Green Tea Seed Oil. It enhances a dewy and moisturised complexion and has an ultra-fine formula. It was really easy to apply on my skin and it made me look absolutely flawless as you can see. I love how cushions are able to give you a veil that gives you coverage without making you look cakey at all. Eyebrows are so important for me, you’ll see why! I’ve been using this particular eyebrow pencil for a long time and I suggest it and use it at Bloom make-up classes too. 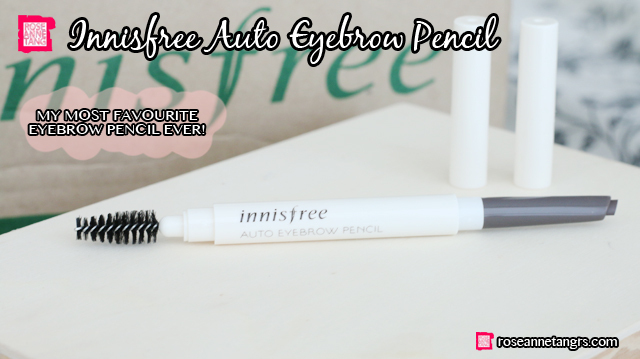 This is the Innisfree Auto Eyebrow Pencil and it’s utterly amazing because it draws your eyebrows effortlessly, some pencils are too dry. You can use the spoolee at the back to comb and neaten your brows or blend the front in when you’re done. I typically go for darker colors for brows just because my hair color is so dark, I think it makes a huge difference in your overall look so eyebrows are a must. I know this is weird but today I’m using an eyeprimer that’s a little out of the ordinary. 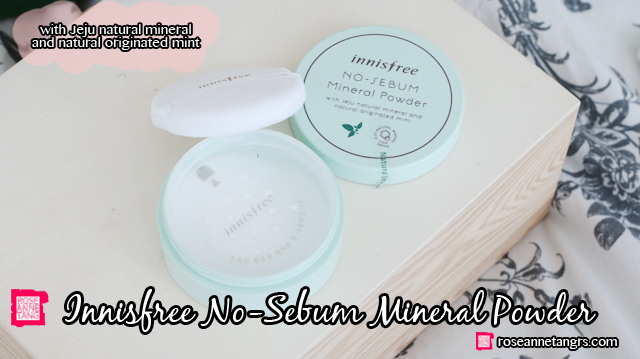 I’m using the Innisfree No-Sebum Mineral Powder to blot and apply a little on my eyes before my eye make-up. What this does is it makes my eye make-up last longer and it is a smooth finish on the eye so it makes the products glide on easier. I also really like this powder as a touch-up throughout the day or when I’m done with my make-up to set it. It’s really good! Time for my favourite part – it’s the eyes. I’m not using any eyeshadow or anything complicated, just the Innisfree Always New Auto Liner in #4 which is a dark brown shade. The other side is a sharpener that you can use! 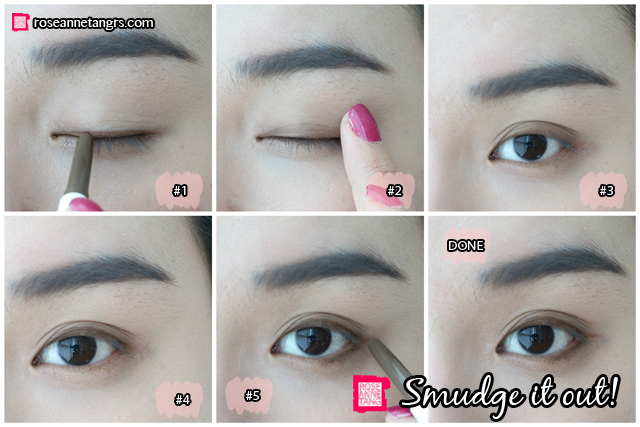 All you have to do is line your eyes first, use your finger to smudge it out to look a bit like eyeshadow. Then go and fill in a line in between your lashes to finish defining it. 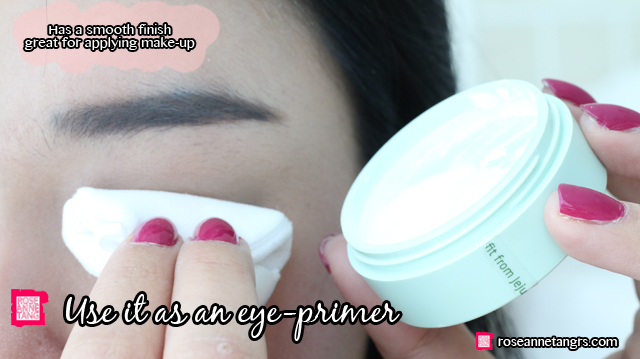 Then I also like to apply a little right on my waterline as well but not all the way so it can open up my eyes. How easy was that? 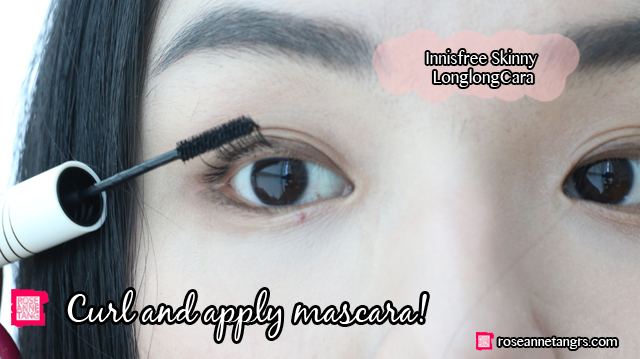 I’m using a new Innisfree mascara today it’s the – Innisfree Skinny LONGLONGCARA mascara which has a very thin wand to lengthen your lashes. 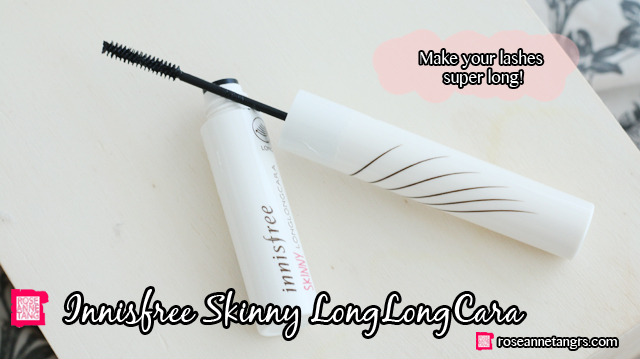 I’m usually not a fan of lengthening mascaras but I really enjoyed this. It made my lashes look long but didn’t weigh my lashes down so it still look curled and opened up my eyes. A great tip is to apply some on your bottom lashes too so it really can brighten up the area. Eyes done! Last step is your lips. 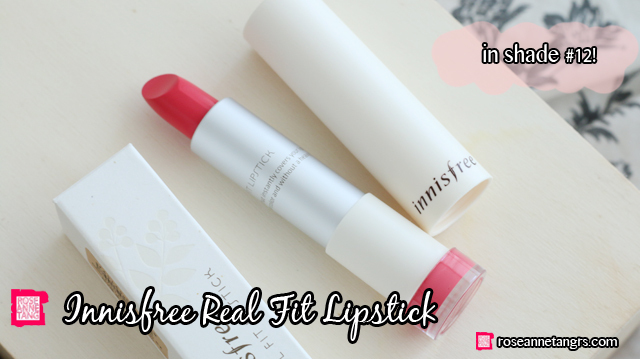 I love Innisfree lipsticks especially the Innisfree Real Fit Lipstick in #12. 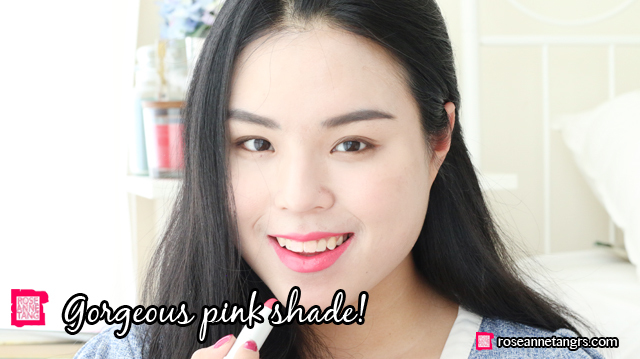 It’s a bright and radiant pink which is my favourite kind of lipstick color. The formula is really rich and smooth and applies really nicely on the lips. The lipstick is very pigmented, long lasting and is enriched with camellia oil. Here’s another beauty tip – you can also take some and apply a few dots on your cheeks. 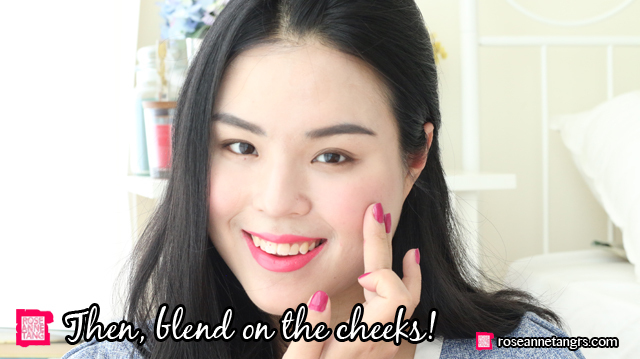 Use a clean finger to blend upwards towards your ear for a wonderful flush of color on your cheeks! Who needs the blush anymore! 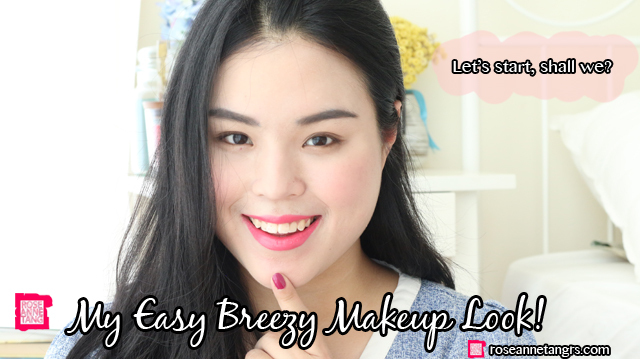 And you’re done with this easy breezy make-up tutorial. I hope you enjoyed it. Please do check out http://goo.gl/nzR5zt, Innisfree’s Global shopping mall, because now you can get Innisfree delivered right to your doorstep! 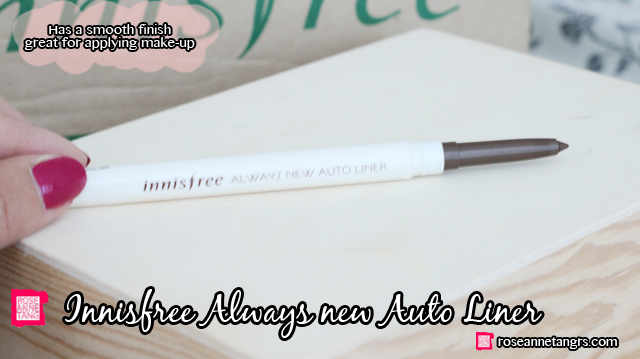 They’re having a promotion now and you can get the eyeliner and mascara I used in a 1+1 promotion from April 20th – 30th here! 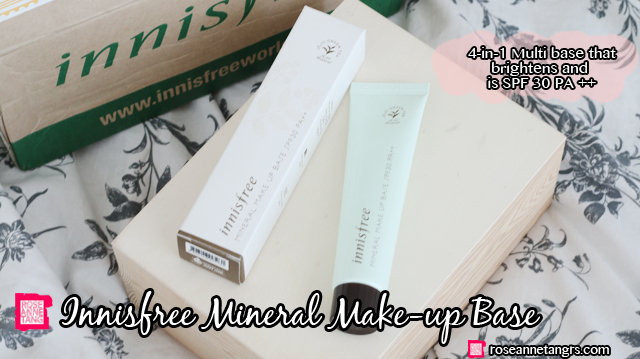 Thank you Innisfree for sponsoring this post! 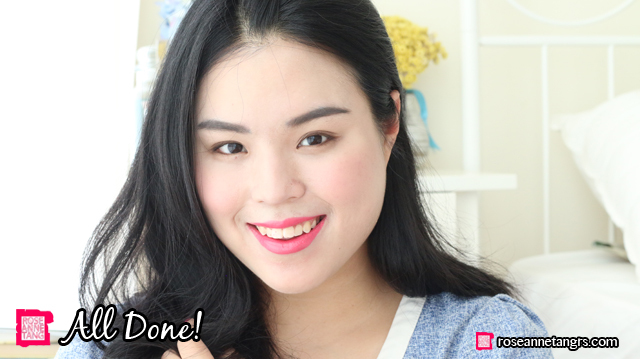 Smokey Eye Makeup Tutorial for Asian Eyes!